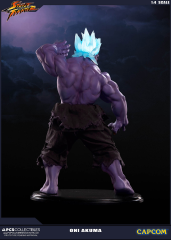 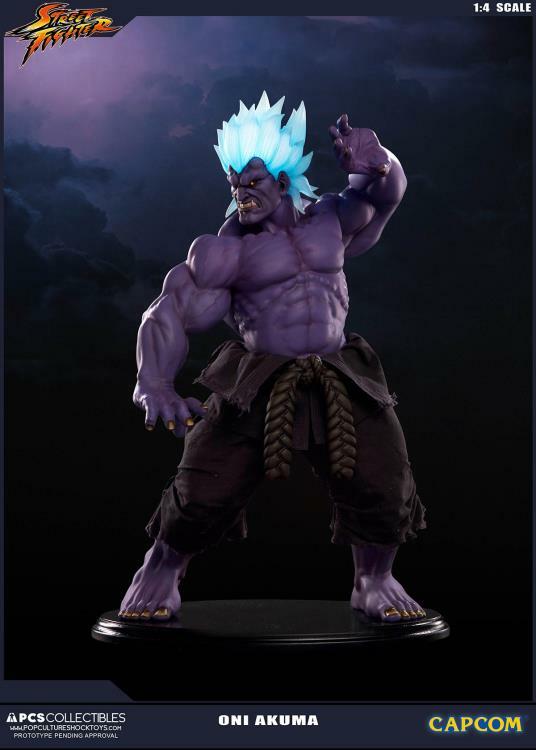 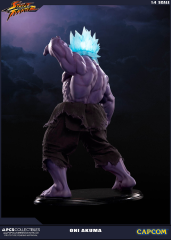 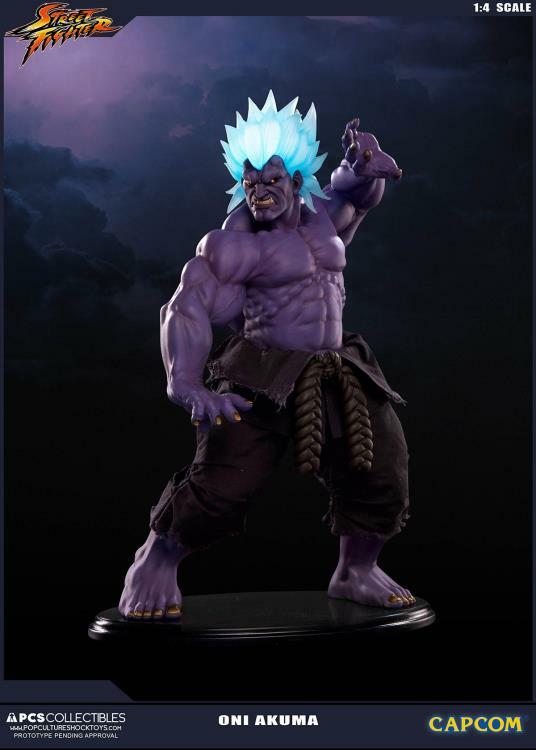 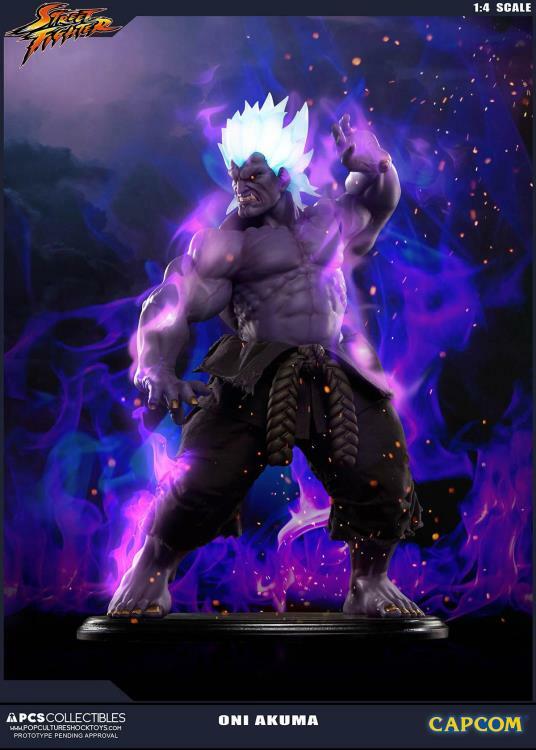 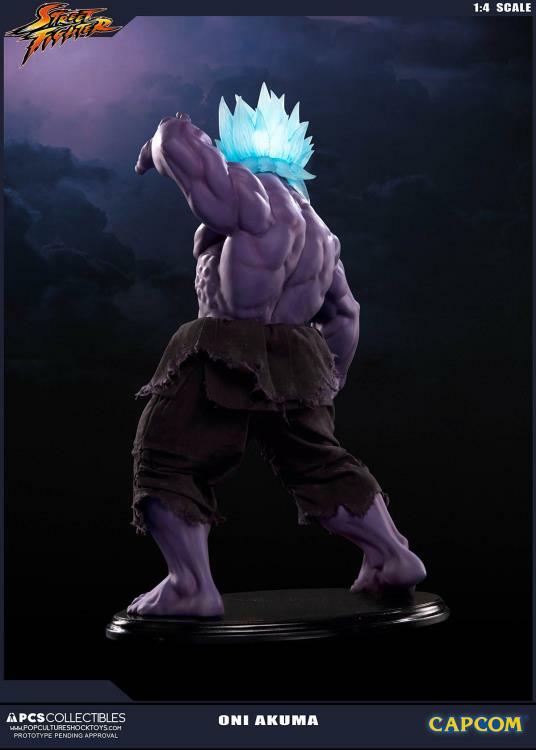 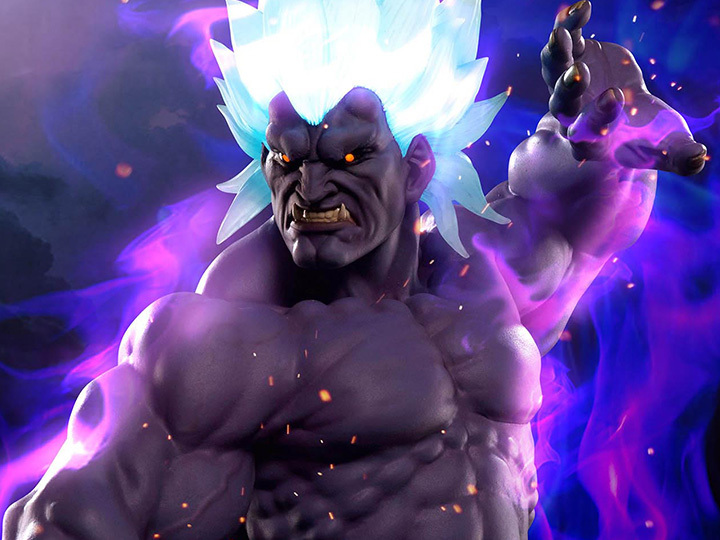 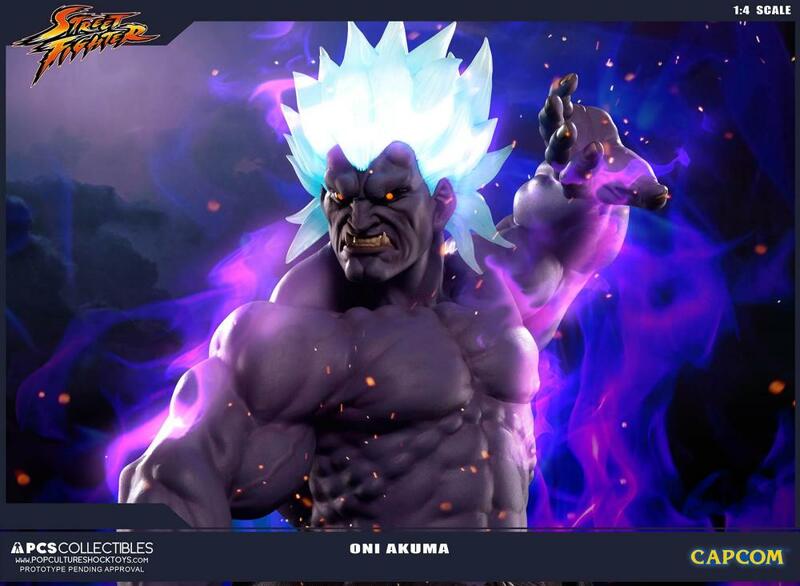 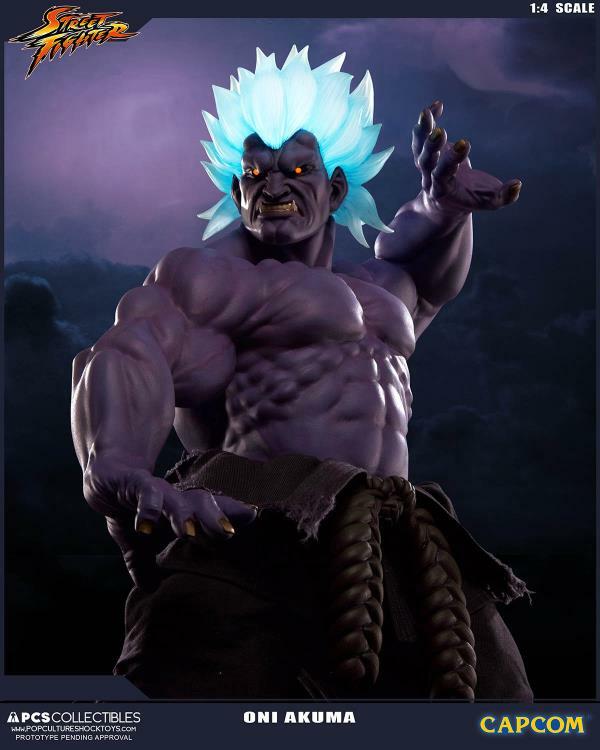 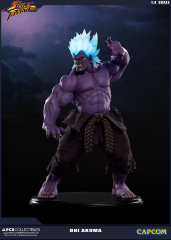 Rendered in high-quality polystone, this 1/4 scale Oni Akuma is complete with his trademark glowing LED hair and eyes, removable translucent orange prayer beads that can be placed around his neck or on the base, and certificate of authenticity. 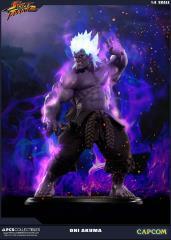 The 17.5" statue of the final boss seems to have erupted from the game full of fire and wrath! 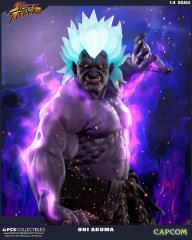 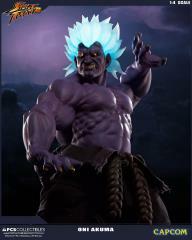 Those who stand before Oni have but two options: die fighting or simply die. 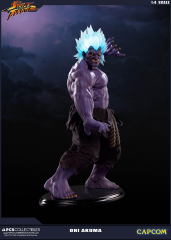 Features glowing LED hair and eyes and removable translucent orange prayer beads that can be placed around his neck or base.